BLUE MILK LIVE AT BOX! I FELL IN LOVE WITH THE GIRL AT THE BOX SHOW! BLINK 182 TRIBUTE! Always Sunny in Philadelphia Pub Quiz! BOABBY THE BARMAN DJ SET! Still Game Quiz is BACK! Friday June the third, we will be turning BOX purple! 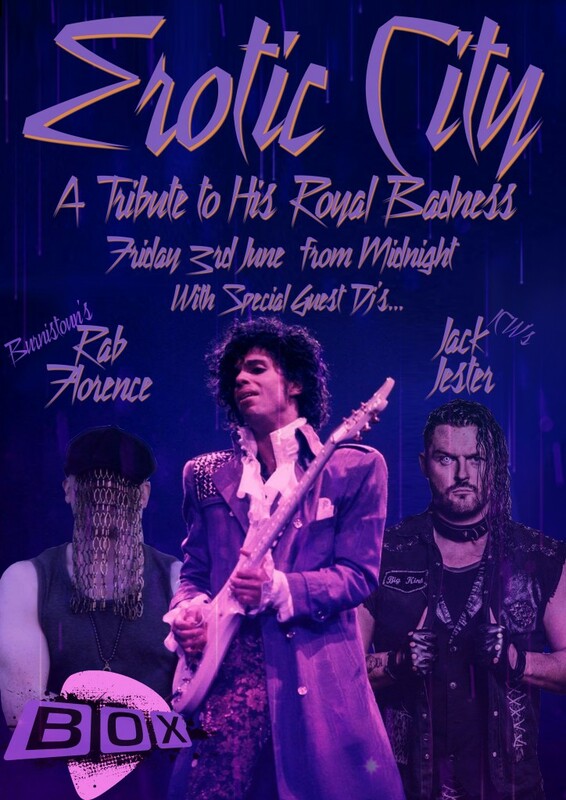 Come down and see ICW’s Jack Jester and Burnistoun’s Rab Florence DJing loads of Prince classics and other essential tracks from the Prince era.